Gardena, CA June 9, 2018 - Shin-Sen-Gumi restaurant group held their annual Employee Appreciation Day to give thanks to their employees. This one day of festivity is when the management team serves the staff members to show their gratitude. Staff and their direct family members are treated to an assortment of Japanese foods and drinks to dine, including Shin-Sen-Gumi's very own Hakata Ramen and Yakitori. A variety of activities and attractions were also available not only for staff members but for their children as well. Activities from face painting, live music, Taiko, magic show and Chinelo Dance are but a few of the activities and entertainment for the entire day. Former Bantamweight World Champion, Tomoki Kameda also graciously attended the event and entertained the audience with a sparring demonstration. 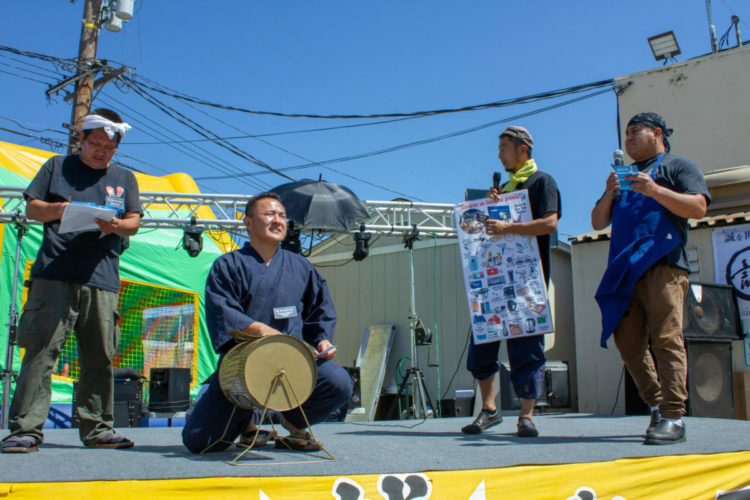 The annual event also included a raffle where president, Mitsuyasu "Kyokucho" Shigeta draws prizes for the kitchen staff ranging from a trip to Vegas to gift cards for various store and other goods. Attendees were also asked to bring items for the donation bazaar where all proceeds went to support the victims of the Guatemala Volcano disaster.